ASN Live! is a popular gathering place in The Hub offering additional opportunities for education, networking, and building connections. 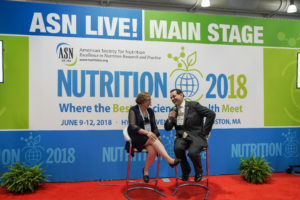 Attendees will hear scheduled presentations of interest to nutrition professionals and meet ASN leaders, Fellows, Journal Editors and other VIPs. 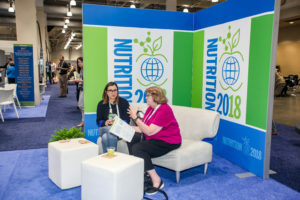 Here, attendees will join in informal chats with Nutrition 2019 speakers after their formal session is a wrap; discuss career tips with those in the know; and more! Recognition signage at ASN Live! Floor stickers with supporter recognition directing attendees to ASN Live! Logo and supporter acknowledgement on website, onsite program book, signage, and mobile app.